Has the U.S. Undermined Peace in the Middle East? Historian Rashid Khalidi's latest book, "Brokers of Deceit," examines the U.S. role in negotiating peace between the Palestinians and Israelis during three key periods. Khalidi argues that, despite presenting itself as an honest broker, the U.S. was promoting Israel's interests, and undermined opportunities to move the peace process forward. He joins us to discuss the book and this week's meetings between President Obama and Israeli Prime Minister Benjamin Netanyahu. 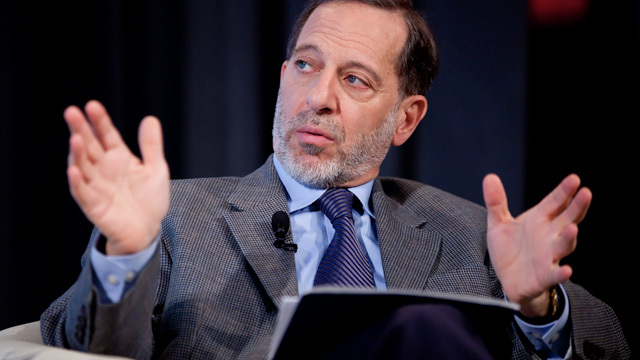 Rashid Khalidi, professor of Arab studies at Columbia University, editor of the Journal of Palestine Studies and author of "Brokers of Deceit: How the U.S. has Undermined Peace in the Middle East"